Where oh where did the last 12 weeks go?!? 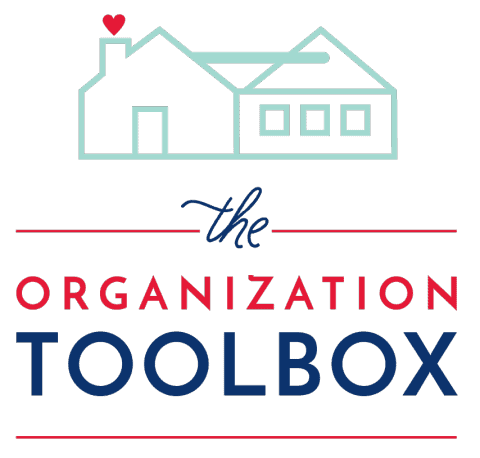 It seems like just a few days ago that I was announcing the beginning of my Organization Toolbox project…yet 12 weeks have indeed passed, and it’s now time for our final printable in this series! 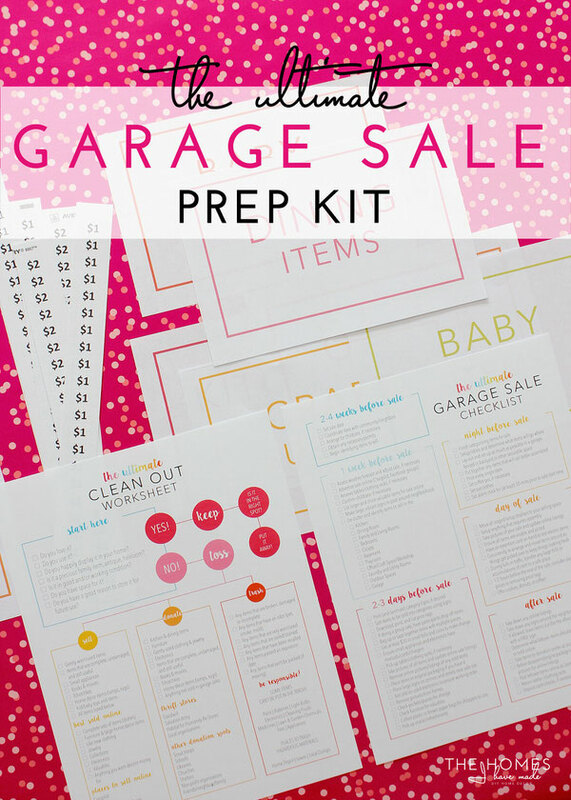 While I’ve created a lot of great products over the past few months, I just may have saved the best for last: this week’s printable is the Ultimate Garage Sale Prep Kit! Around this time every year, I get the itch to purge and hold a big yard sale. 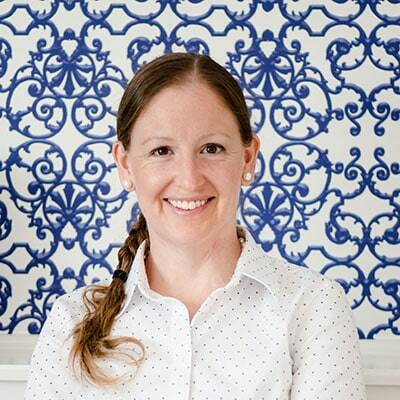 The itch is certainly stronger in the years we have a move coming up…but there is just something about the warmer weather and brighter sunshine that makes me crave a lighter house! Between helping my father downsize after my mother’s death and dealing with our own accumulation of junk, I’ve held close to 10 yard sales just in the last few years! Not only have I been able to get rid of A LOT of stuff (and make some decent money! ), but I’ve learned a thing or two about holding a really successful and profitable yard sale! I shared all my secrets in THIS post a few years ago. 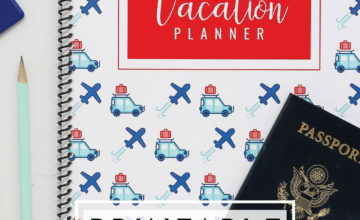 As I read back through it, I still believe in so many of those tips so be sure to check them out. While I share a lot of details in that post about the logistics of holding a yard sale, I didn’t share a lot about how to prepare for one. That’s where today’s post comes in! 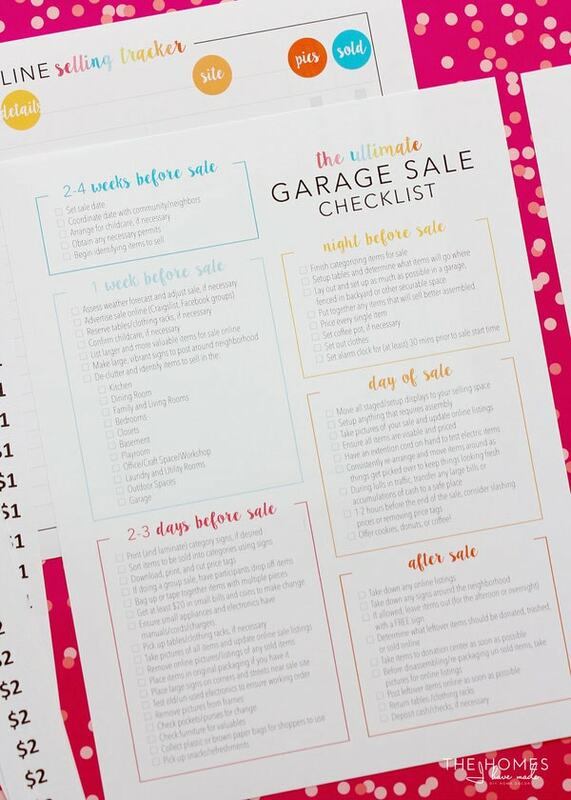 Today, we’re diving into the prep work required to hold an awesome garage sale…and of course I’m providing pretty printables to help you through it! You guys…I had SO much fun putting all my yard sale knowledge and experience into a pretty, cohesive and complete kit for you guys! 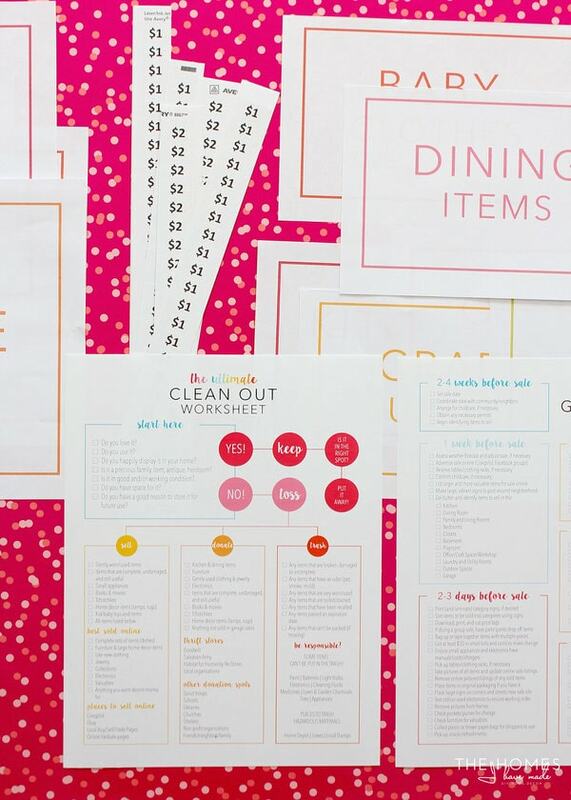 From an ultimate checklist and a sorting worksheet to sorting signs and printable price tags, I have you covered from beginning to end! The key to any successful and profitable yard sale is planning and preparation. Especially if you have a lot of stuff to sell! 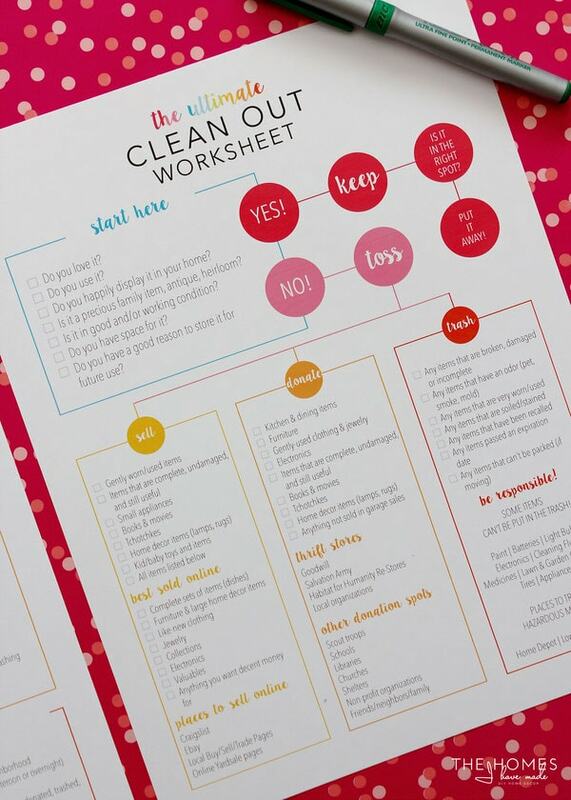 If you keep your clutter under control, a quick walk around the house the night before may be sufficient. 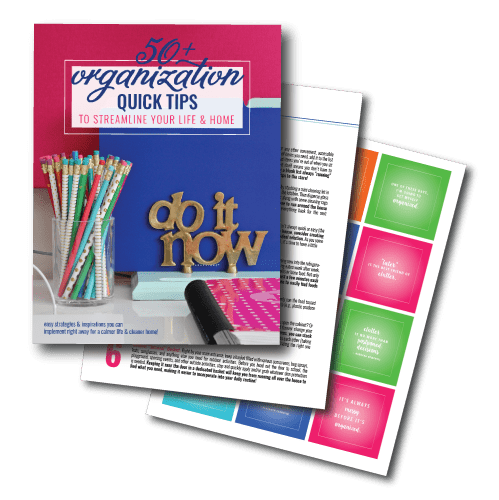 But if you have serious clutter to tackle, are undertaking a major down-sizing, or have a lot of high-quality items that need to go…then you need to plan and prepare ahead of time! The amount of time you need to de-clutter, sort, price and setup is certainly dependent on how much stuff you are selling. To keep things easy, I devised a relatively simple timeframe that starts about 4 weeks out from your sale date. 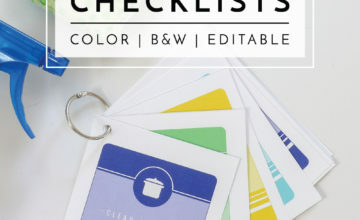 While I tried to include everything I could think of, please use this checklist as a guide for your own home and timeframe! 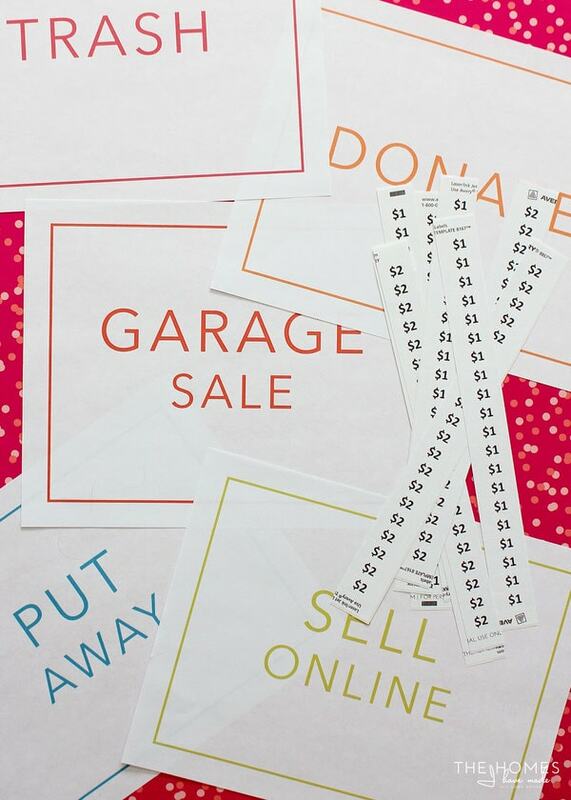 One of the very first tasks on the Garage Sale Checklist is to “identify items to sell.” For some of us, that is an easy task. In fact, I can look around my office and easily see a handful of things that can be sold at our next sale. 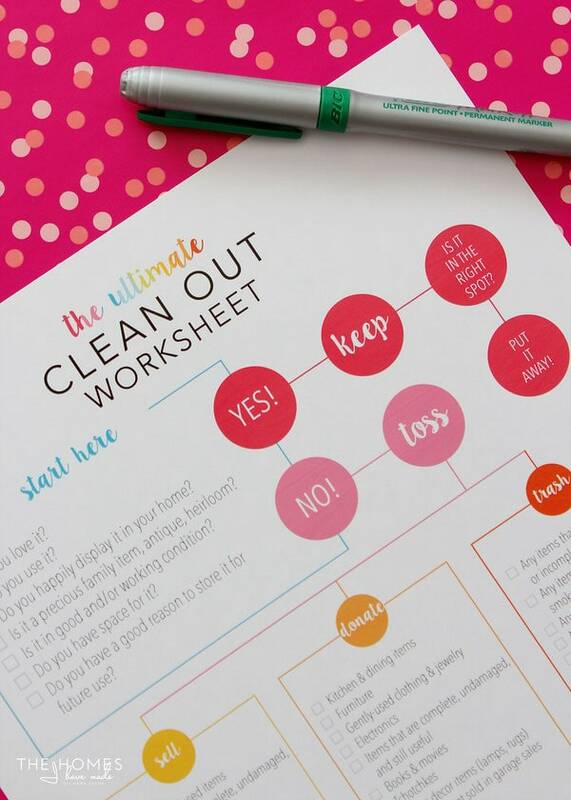 However, others have difficulty determining what to keep and what to toss, so I made a handy worksheet to help you through the process! 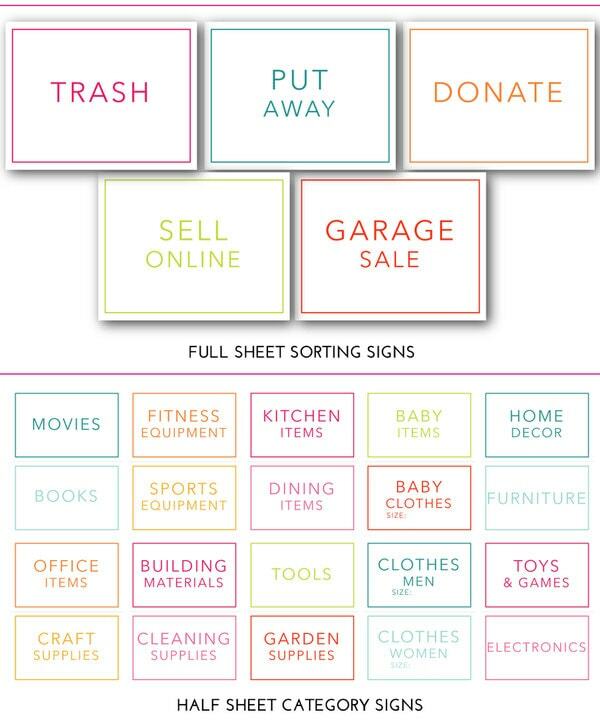 Beyond just figuring out what to keep and toss, I also provide some recommendations for determining what to sell, trash and donate and include some helpful tips and reminders as well! 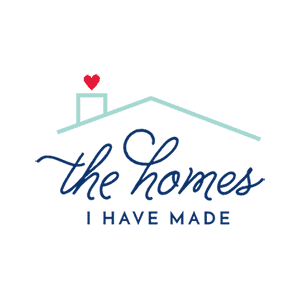 As you work your way through your house, piles for TRASH | DONATE | SELL and PUT AWAY will most likely start growing. Whether you choose to use boxes or simply make piles, I’ve provided you with some pretty signs to help keep everything sorted just right! 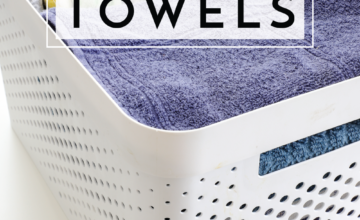 It has been my experience that certain things sell better online than in yard sales (I detail more in THIS post and on the Clean Out Worksheet in this kit). 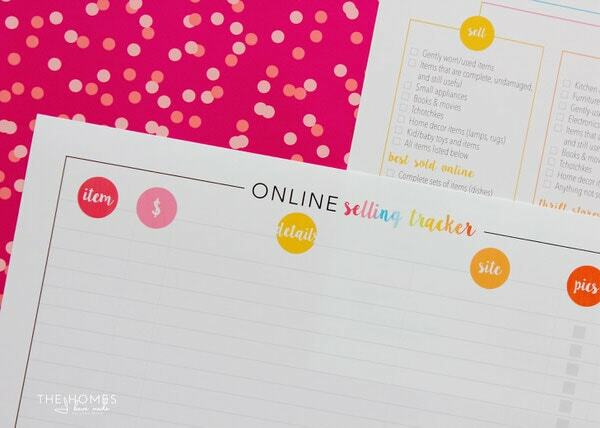 To help you keep track of what you have posted, where and for how much, this kit also includes a simple spreadsheet for online selling! I’m not going to go into the logistics of setting up and running a yard sale (that’s all covered HERE! ), but on sale day, it’s helpful to have a few resources printed out and ready to go to make the day run a little smoother! 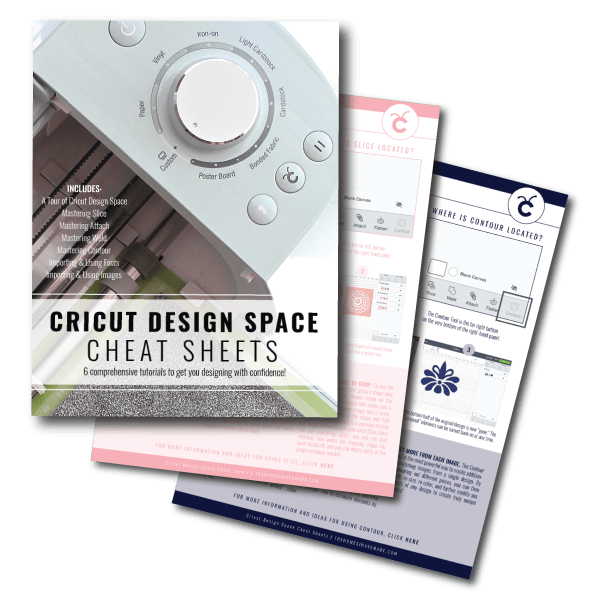 If you have a lot of stuff to sell, using category signs will not only help you setup in a more efficient and logical way, but will also help out your shoppers who may be looking for something specific. I am also a firm believer in pricing every single item you are selling. 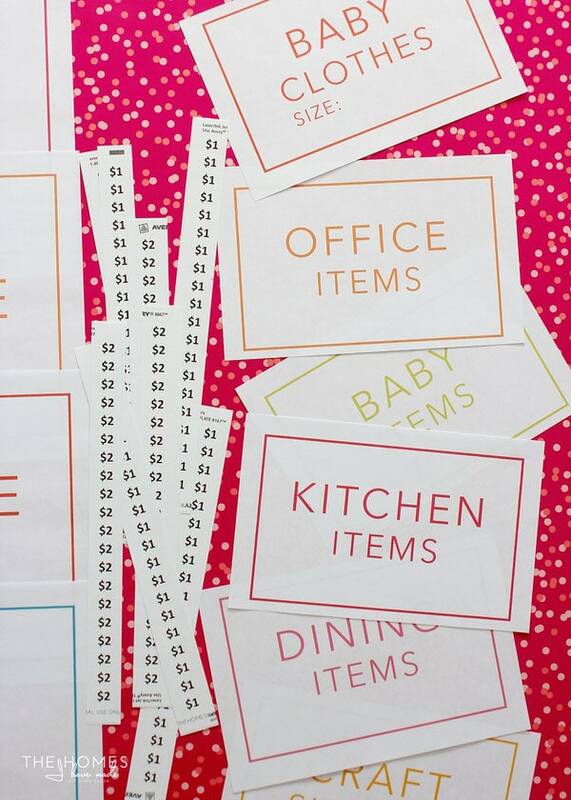 In fact, I wrote a whole post about garage sale pricing! 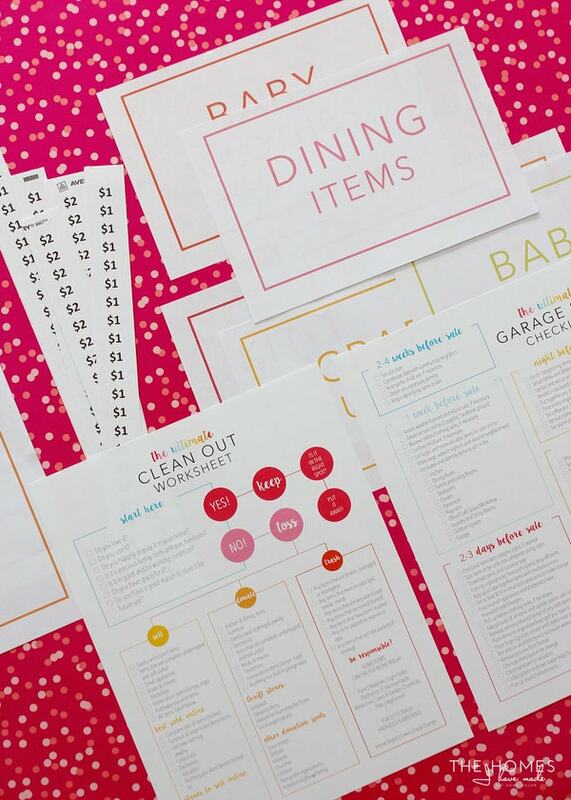 While I did include my printable price tags in this kit for easy reference, be sure to see this post to see how to print and cut them! 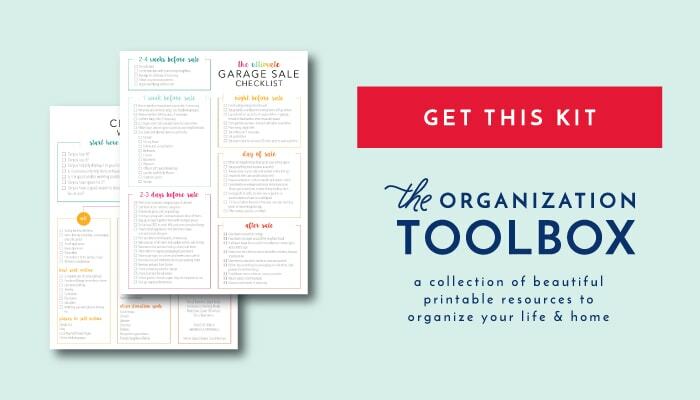 All in all, this 25-page kit should give you most everything you need to hold a very successful yard sale! If I wasn’t already hankering to get our clutter under control, designing this kit has certainly spurred me into action! 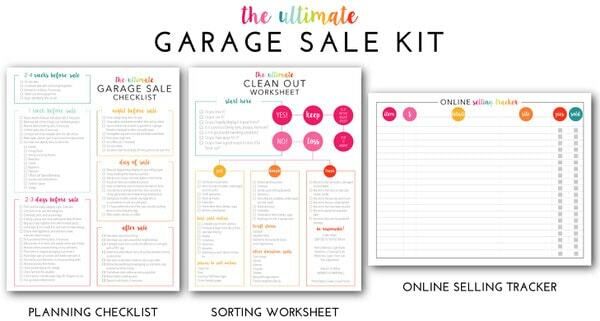 This Ultimate Garage Sale Prep Kit has been uploaded to The Organization Toolbox and is available for download right now! 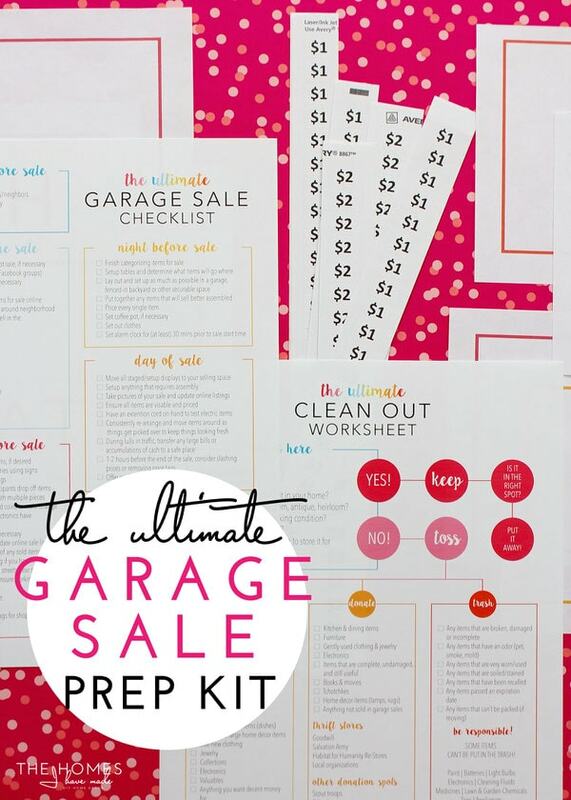 So Tell Me: Are you planning a garage sale this Spring? Do you love holding sales as much as I do? 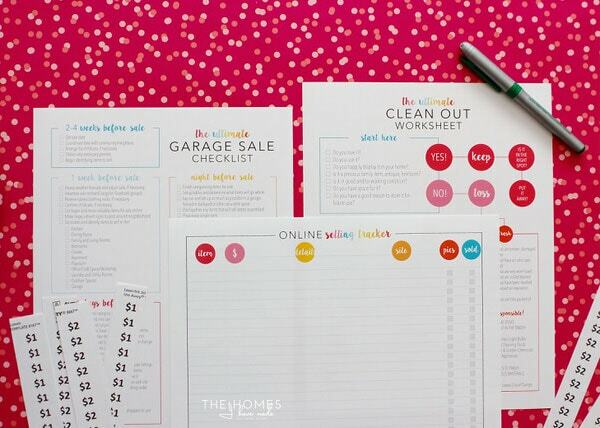 Do you have any tried and true tips for your own garage sales? Please share in the comments below! I hope your week is off to a great start! See you back here Thursday with a sweet “little” DIY!